You probably started your working life in McDonalds, or Bunnings or the local newsagent. You stood on your feet all day, rushed to keep up with your workload, frequently dealt with rude customers, made sure every tiny detail was taken care of……and SMILED. The move to online shopping makes the long term prospects of face to face selling seem bleak. Just as banks have pushed their customers out the door to serve themselves, big retailers like Coles are upgrading their infrastructure so that they can do the same. The new infrastructure will support trends in the Internet of Things automatically shopping for you, and smart shopping trolleys. Retailers are working hard to ship faster so that customers don’t have to wait for their stuff, or go to a bricks and mortar shop. The Coles Graduate Programs attracts the smartest graduates to power more efficiencies and higher profits. Post graduate studies focusing on retail psychology can make you competitive for one of these positions, although successful candidates reflect the emerging skills that retail managers predict they will need. These high pressure graduate programs include keeping up with ambitious key performance indicators, dealing with rude customers, making sure every tiny detail is taken care of …..and SMILING. And if you succeed you will be generously rewarded. Senior retail managers earn good money and bonuses for exceeding goals. The retail world is exciting, tough and changing. Senior managers go through serious ongoing training to keep them ahead of trends. They know what culture changes are buzzing around them and use that to inform their decisions. Creative event managers are designing experiential shopping events. Techies will love coming up with ideas to enhance the e-commerce customer experience. Those who are most successful in retail know how to anticipate and please the customer of tomorrow. I would love that. I love exceeding customer expectations and I have the unfair advantage of caring more about Western Australian school kids. Thank you for all your hard work with the newsletters this year, they have been a Godsend. 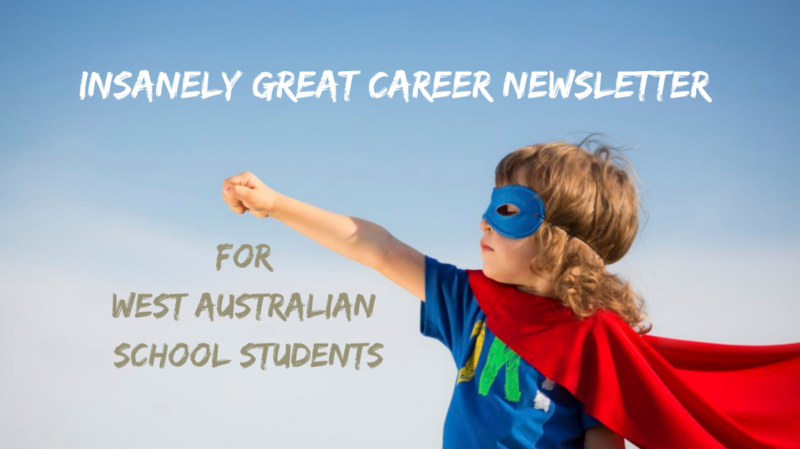 Write 10 insanely great issues of In Focus Careers newsletter each year that focus on the needs of West Australian students and careers teachers. Search for local, national and international information that could impact on the careers of West Australian students. Consult across the In Focus Careers network gathering information and advice to share. Categories: 21st Century Careers, Career Advice, Getting Connected with Industry | Tags: Careers, Jobs, Retail, Sales | Permalink.